In the last few years it has become extremely popular to grow and harvest your own herbs for use in cooking. There are many benefits that can be derived from growing your own herbs. Some of the most popular reasons that people grow their own herbs are that they are more flavorful than produce that can be purchased at the store, do not have many of the pesticides and other chemicals that are applied to commercial produce, and the cost savings that are available fore people that grow their own herbs. Although you may not realize it, there are a lot of herbs that can be grown right in your own home, but before you start your garden it may be a good idea to get a brief history of herbs so you know what you are getting into. Herbs have been used by humans for thousands of years but only more recently in culinary applications. Herbs were first used thousands of years ago as a medicinal agents for healing and relieving certain ailments. There is 60,000 year old burial site evidence that herbs were used in Iraq as medicine, and were placed in a tomb to be taken to the afterlife with the person. As civilizations began to realize that healing was less magic and more science, they began to use herbs to treat some diseases. Hippocrates, in ancient Greece, assembled a list of over 400 herbs that could be used in medicine. These remedies eventually turned into recipes as people fell in love with the flavors and realized that these herbs could be used in cooking to give different properties to the food they ate. Herbs have been used since then as flavorings and additives to foods that add variety and flavor. By getting a brief history of herbs you will be able to have an appreciation for what you are growing and will realize the important part that these plants have played throughout human civilization. If you are interested in getting more than a brief history of herbs you can also do some research on line or at your local library. Once you have all of the information that you need, it will be time for you to start your very own herb garden, so that you can get the same benefits that humans have been getting from herbs for centuries. 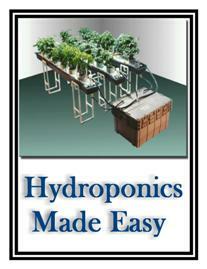 Information on starting you own herb garden can be found online or at local garden shops.